Here are just a few of the binding methods we do every day. Perfect binding is the process of glueing the inner pages edges into a combined spine within the cover. It is suitable for light usage and has the disadvantage that single pages may fall out with a long time with heavy use. It's cost-effective and suitable for most book print jobs. Burst binding, on the other hand, has notches or perforations in the spine which allows better penetration by the glue. Another significant advantage is that the spine edge is not milled like the above perfect binding, leaving the signatures intact and reducing the possibility of pages tearing out. That means burst bound book have better strength and durability than perfect bound books. Perfect binding and burst binding both present well, but are not suitable for heavy wear usages. They are useful for quality periodicals, school yearbooks, light use catalogues and other types of general usage publications. They are normally used for publications of 64 pages or more. 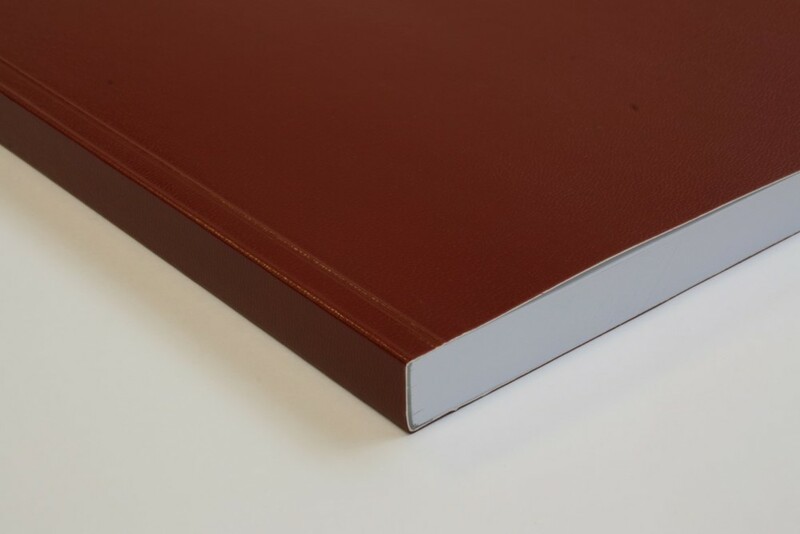 If your soft cover book is going to be very thick, or it needs to survive constant usage or extreme climatic conditions, you may require PUR binding. PUR binding uses a special high tach adhesive called Polyurethane Reactive Adhesive, and while this process is more expensive, it will provide a binding many times stronger than standard perfect binding. Saddle stitching, also known as book stapling, is one of the most cost efficient binding methods available to fasten books. It's fast, economical and ideal for smaller publications and booklets. The pages are secured through the centre-fold by wire staples, allowing the book to open flat. The number of pages that can be stitched depends on how thick the paper is, although as a general rule 48 pages is the maximum advisable number of pages for a saddle stitched book. Wire binding (or wire-o-binding) is commonly found when a combination of heavy and light stocks are all used together on the same book intermittently. 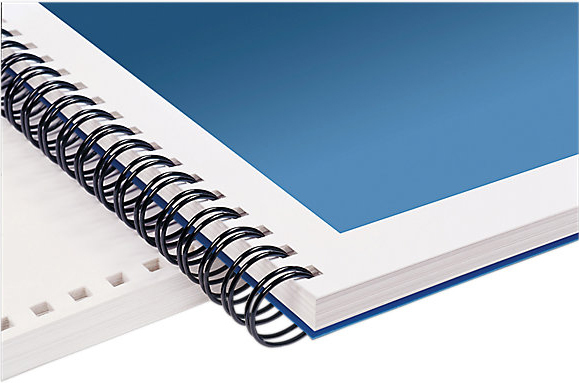 Because wire binding is durable and allows for full and flat book opening and closing, it is useful for binding items like calendars, swatch books, notebooks, annual reports, diary, presentation books and unusual custom publications. Wire binding is available in a range of colours, finishes and sizes, to suit your needs. Coil Binding, also known as Spiral Binding, is the binding method seen below. While Wire-Binding and Coil Binding might be mistaken for each other with no significant difference, we can assure you there is. Additionally, there is also a price difference between the two binding styles. 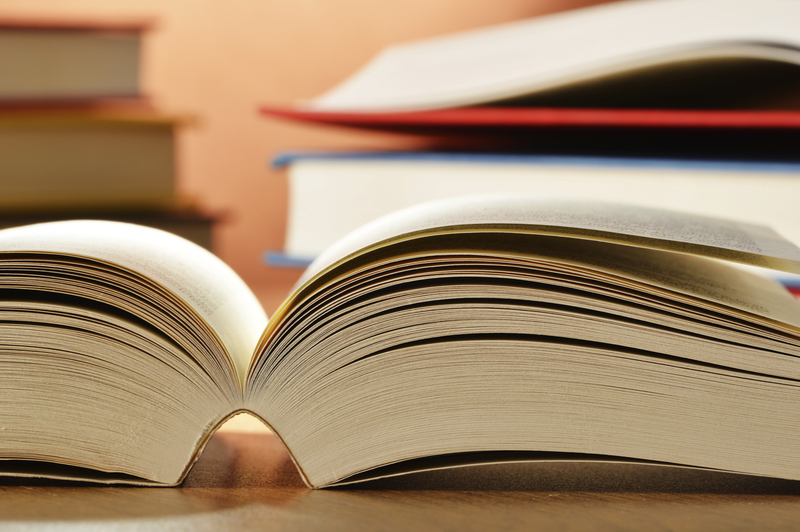 The largest difference in the practical use between Wire-o-Binding and Coil Binding is that coil binding needs to be threaded and screwed in from either the top or bottom on the book to be bound or removed. That means there is no easy way for a page to come loose other than to tear a page out. The alternative of Wire-o-Bind has small wire teeth that are lifted from the side of the wire and are inserted into the pre-cut holes. 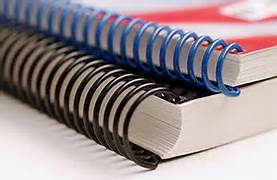 That means Wire-o-Binding pages can be removed and/or inserted easier than on a coil bound book.